Excavation for Newport Yacht Club started in the late 1980s as part of an ambitious residential development plan that included 100 homes, over 200 boat moorings and extensive member facilities. The original developers concept was to have a world-class marina with executive type homes surrounding it. The marina complex, on completion more than 20 years ago, had a price tag of $6.2 million. The developers advertising and marketing strategies were superb. A model home at the north end of an adjacent street had a 25 foot cabin cruiser in a swimming pool, barbeques, helicopter rides and sleigh rides on the water. Sadly during this time, at an off-shore racing event, one of the boats caught a wave head on which flipped the boat killing the boater. Unfortunately, a real estate recession, followed by several changes in ownership, delayed the completion of many of the amenities and did not provide regular dredging of the harbour entrance. In 2011 the marina was put up for sale. The current commercial operation was not viable at the time and there were significant back taxes owing. 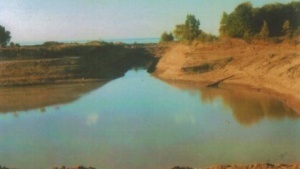 The other major concern was that there was no plan to dredge the entrance to Lake Ontario which it was estimated would close the marina in 2012. In the fall of 2011 members Peter Martin, Jack Book and Bill McCartney aka “The Three Amigos” had an idea to buy it from the troubled developer and form a yacht club. The idea was to ask local residents and all boat owners to invest in the Club in the form of a loan and any shortfall would be taken up by a small investment group of club members. 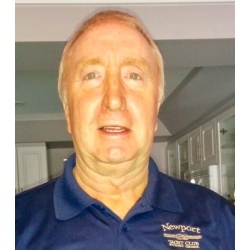 Newport Yacht Club – Stoney Creek Inc. was formed in the spring of 2012, with Jack Book at the helm as the first Commodore and Peter Martin as Secretary. The spring 2012 also brought a much-needed full scale dredge of the harbour entrance and club members rolled up their sleeves to set about bringing the yacht club grounds and docks into a much needed repair and update. The beach area was used to damn the lake until the construction of the marina was completed. 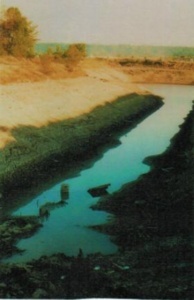 The channel after being excavated. The seawall was constructed next then backfilled with rock. All piping, electrical, TV cable and telephone service was installed and finally the boardwalk. Newport Yacht Club Stoney Creek is a not for profit member run yacht club that aims to provide quality seasonal facilities, programs and social activities dedicated to the recreational enjoyment of its members and guests. We will continue to maintain and enhance a viable, sustainable yacht club atmosphere while ensuring docks become fully occupied through competitive rates, adequate water depth and improved clubhouse facilities. We will continue to promote good stewardship through volunteer service that will support enhancing our boating membership, the strong social component to our activities and property maintenance. We will strive to have a balanced membership that supports financial investment in the Club and it’s success.